Viknesh Vijayenthiran March 5, 2018 Comment Now! You're in the market for a speedy sedan with luxury and attitude, but you don't want to sign up for a second mortgage. 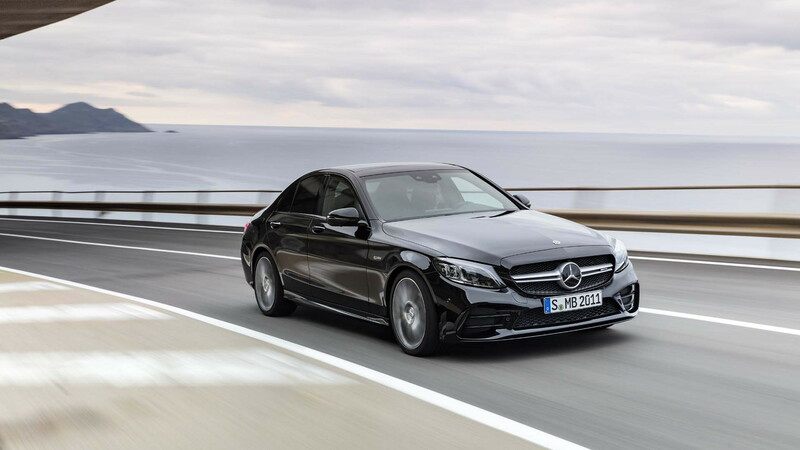 Look no further than Mercedes-AMG's C43, which is being refreshed for the 2019 model year alongside the rest of the Mercedes-Benz C-Class range. 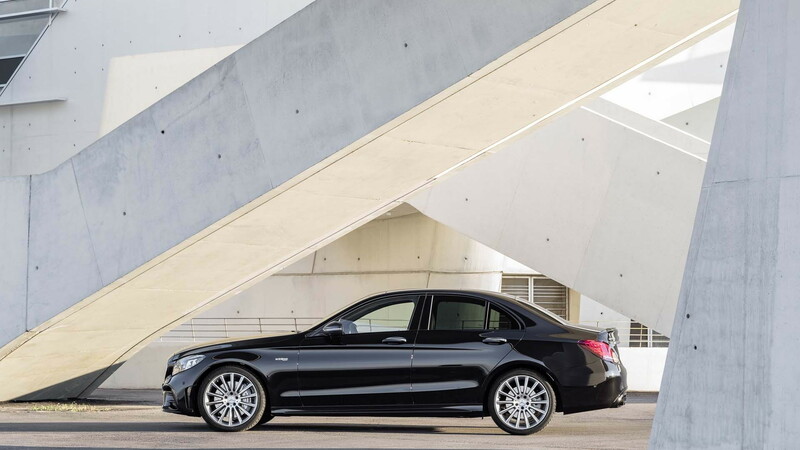 The C43 replaced the C450 for the 2017 model year and is priced from just over $50k. 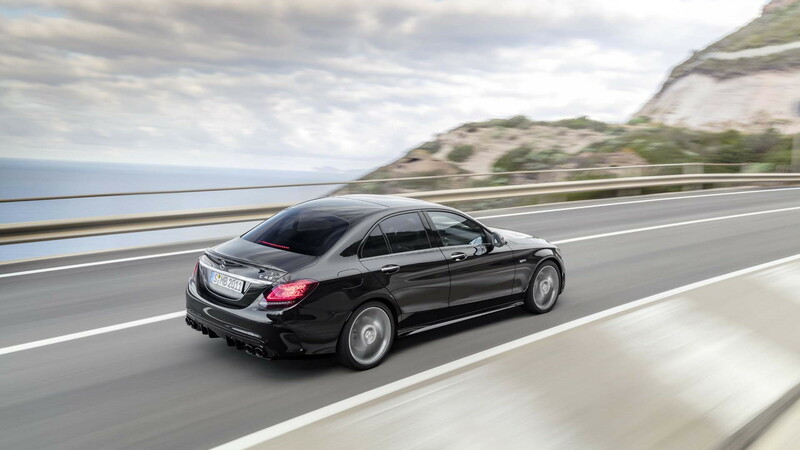 It’s one of the tamer "AMG Sport" models offered by the Affalterbach tuner and like others in the 43-series, it comes with a 3.0-liter twin-turbocharged V-6 mated to a 9-speed automatic and rear-biased all-wheel-drive system. 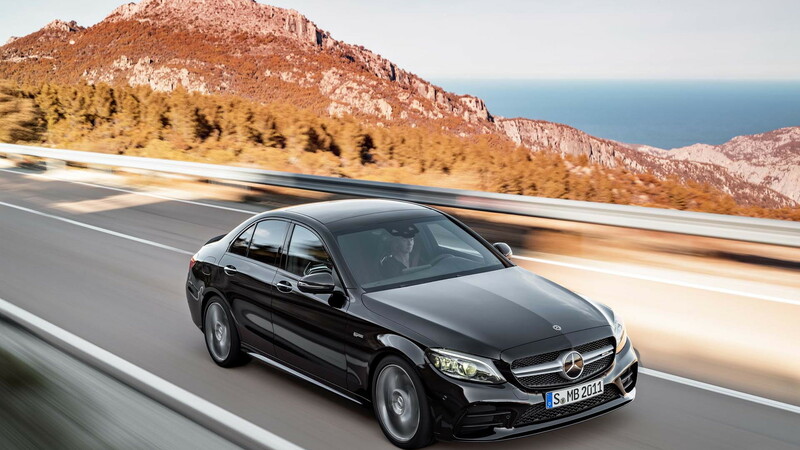 For 2019, output from the C43's engine has been dialed up slightly to a new total of 385 horsepower and 384 pound-feet of torque, up from 362 hp and 384 lb-ft in the present model. This guarantees a 0-60 mph time of 4.6 seconds and top speed of 130 mph. 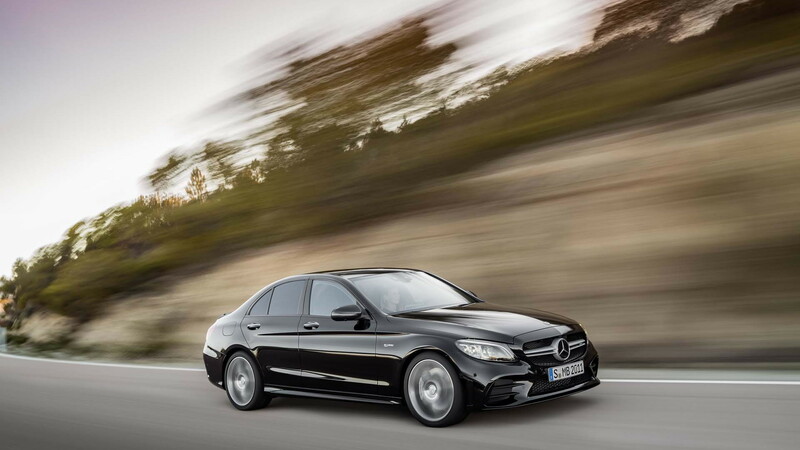 AMG's designers have also tweaked the look of the C43 to give it a more distinct feel. LED lights are now standard at both ends, and the grille and wheel patterns are also new. The final tweak is a circular design for the four exhaust exits to contrast with the square design of AMG's harder-hitting C63. Inside, buyers can opt for a fully digital dash for the first time. If selected, a 12.3-inch inch screen serves as the digital instrument cluster. A sports steering wheel is fitted as standard. It's lined in Nappa leather and features a flattened bottom. A new element of the steering wheel's design is the addition of touch-sensitive surfaces. Also inside is the AMG Dynamic Select driving modes selector. This lets the driver control various elements ranging from the engine to the transmission to the suspension damping. For 2019, there's the new pre-set mode “Slippery” in addition to the previous “Comfort,” “Sport,” “Sport+,” and “Individual” modes. Mercedes will present its refreshed 2019 C-Class range, including this C43, on Tuesday at the 2018 Geneva International Motor Show. The cars arrive in showrooms before the end of the year. For more from the Geneva auto show, head to our dedicated hub.